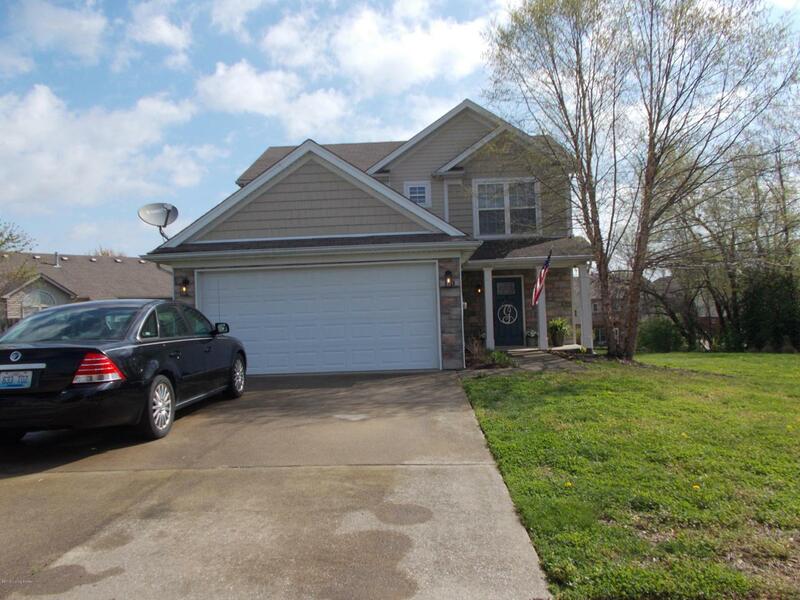 Come view this lovely, two story home located in the North Country Subdivision of Shelby Co. This home is newly updated throughout. As you enter the home via the foyer, into the great room ,you will see the custom built fireplace flanked on both sides with gorgeous white built-in cabinetry providing lots of storage space and elegance to this area. This spacious room is bright with natural light from a double window, newly updated vinyl plank floors and window treatments. The dinning area is conveniently located next to the galley style kitchen with lots of room for table and chairs ,and hutch. You can step outside to the patio and back yard for summer entertaining , The kitchen has oak cabinets , newer appliances all will remain, pantry, and laundry area with stackable washer and dryerto remain. Upstairs you will find the large master suite with double window for a bright sunny feel ,walk-in closet, and master bath. There are two other bedrooms and second full bath that round out the second floor. Updates here are paint. flooring, window treatments, and closet organizers. Make an appointment today, this home won't last long.